HUGE thanks to Moss Adams for a great beach clean up! 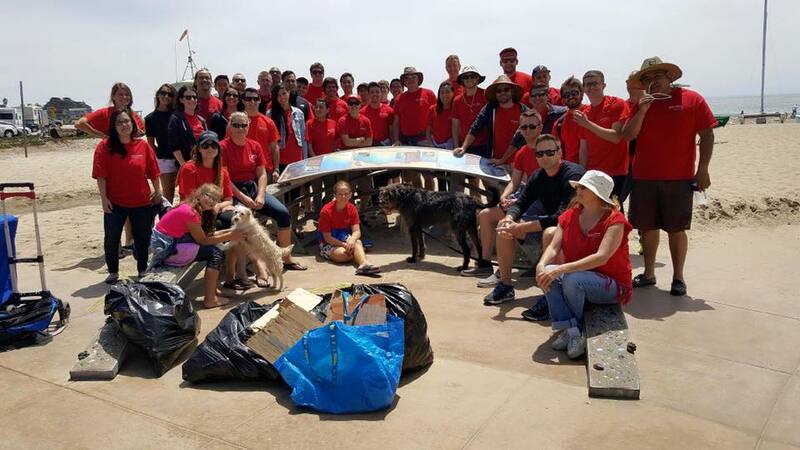 They grabbed 60 lbs of trash, 50 lbs recycling, and 954 cigarette butts from entering the ocean. Moss Adams also made a generous donation to help protect our local beaches, which really keeps our all volunteer chapter outreach going! Thank you to Sheridan Bowman for leading another wonderful corporate clean up. — at Twin Lakes State Beach. Contact us if you would like to host corporate beach clean up!